Indicated to correct imperfections in the shop of vehicles, metal surfaces, galvanized, machinery and equipment. Also indicated for gluing or correcting imperfections in marble and granite. Sanded with grit sandpaper80 or 150. Then clean the piece with Maxi Rubber Degreaser Solution. • Homogenize the adhesive before application. • Remove the desired amount and place on a clean, flat surface. 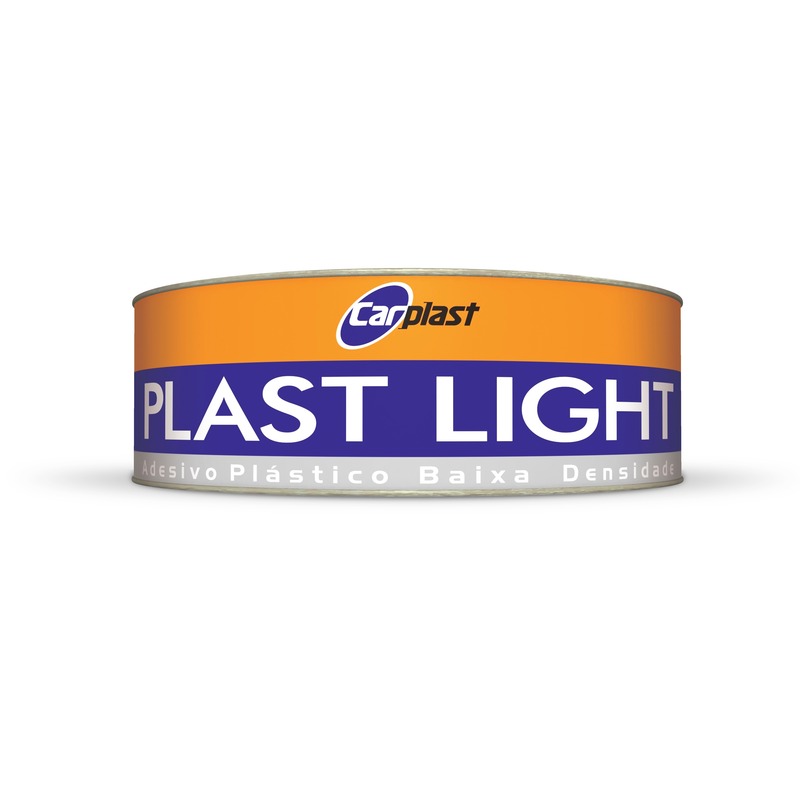 • Add 1 g (20 drops) of MEK catalyst to each 100 g of Plast Light adhesive. • Mix well until a homogeneous dough is obtained. NOTE: The time elapsed from the mixing of the adhesive with the catalyst to its application should not exceed 3 to 5 minutes. • Apply the catalyst adhesive, with the aid of an applicator (celluloid), in thin layers until the defect is corrected. • After drying, sanding with dry sandpaper (grit sandpaper 80 - 150 and final with sandpaper 220 - 320). • Drying for sanding - 25ºC: 60 to 120 minutes. • The product should be applied directly on bare sheet. • In the preparation of the adhesive (catalysis) use the correct amount of catalyst, thus avoiding problems with bubbles. • Do not put the prepared mixture into the can. • Wait for the specified drying time to avoid mapping. • Avoid forced drying at high temperatures, as it can cause problems such as cracks, bubbles and loss of adhesion. • Dry sanding of the polyester dough is recommended because moisture retained in the dough during sanding with water can cause surface and finish problems. • Isolate the repair site with Primer Maxi Rubber Primer before application of the finish. Product: Based on modified polyester resin, mineral fillers, pigments and additives.